Monika Griefahn is a founding member of Greenpeace Germany and was Co-CEO (1980-1983). From 1984-1990 she worked on the board of Greenpeace Internat. From 1990-1998 she was Minister of the Environment in the state of Lower Saxony. Her main focus lay on the phasing out of nuclear power. From 1998-2009 she was Member of Parliament. 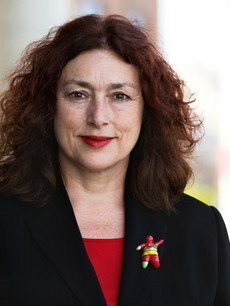 Today Monika Griefahn is director of the Institute for Media, Environment, Culture and works as sustainability consultant for companies and organizations. She also works in sustainable education. Voluntary commitment (among others): Cochair and jury member of the Right Livelihood Award Foundation.